We are a community of women who have been drawn to respond to God's love by living a life of prayer, work, study and hospitality based on the Rule of St. Benedict. In our corporate worship we pray in fellowship with the whole church; in times of solitude and silence each sister responds in her own way to the call to 'Pray constantly'. Through simplicity of lifestyle we express our reverence for God's creation, and our concern and responsibility for the future. We have residential accommodation for people seeking a silent space for prayer, reflection and rest. We also welcome enquiries from women who feel drawn to the Benedictine way of life and wish to live as an alongsider within our community. 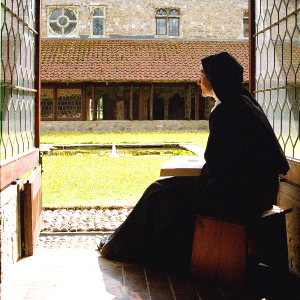 For some, this may be part of a journey exploring a life commitment as a nun. 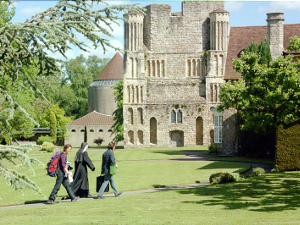 We run tours of the Abbey for the general public as part of Heritage Open Days in September. Tours for 2019 will be on Sunday 15th September and further information will be available from mid-July. We host concerts in the Abbey Church as part of the Music@Malling Festival each September. Please visit their website for details.